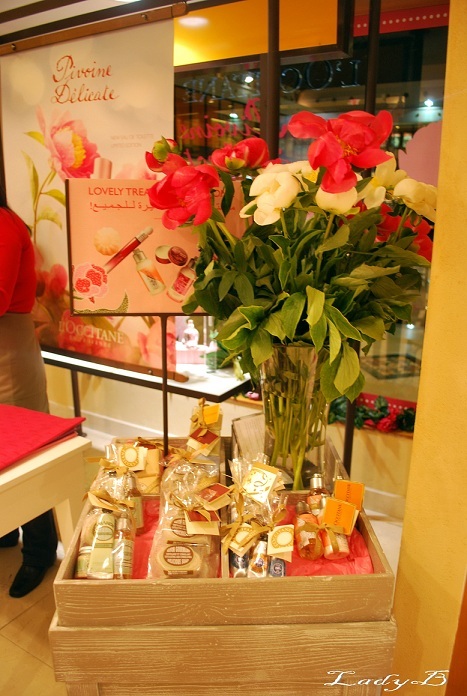 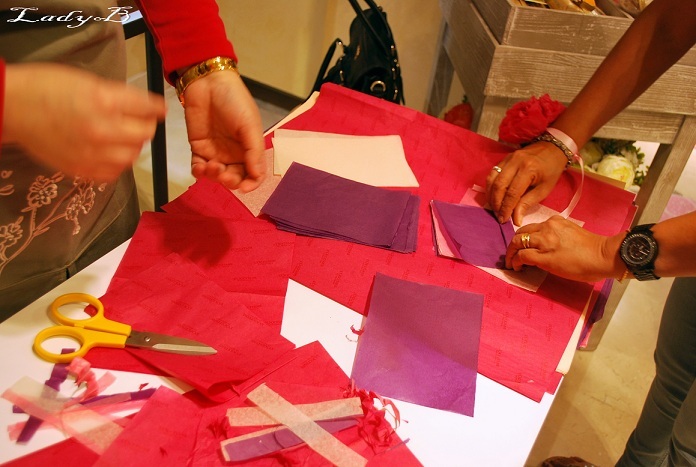 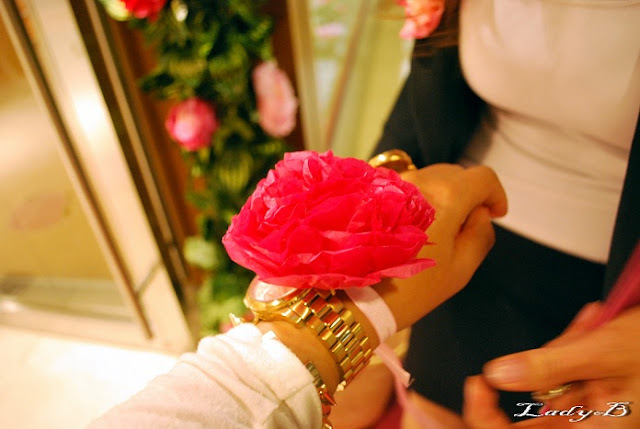 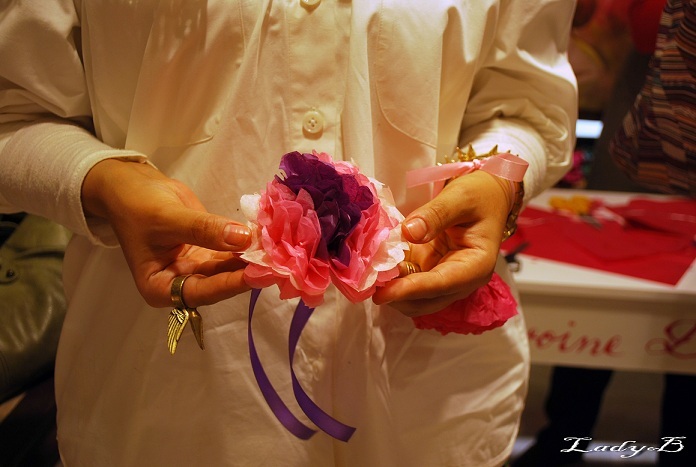 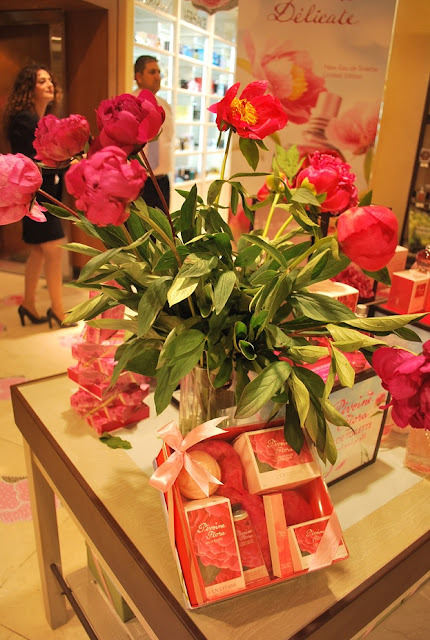 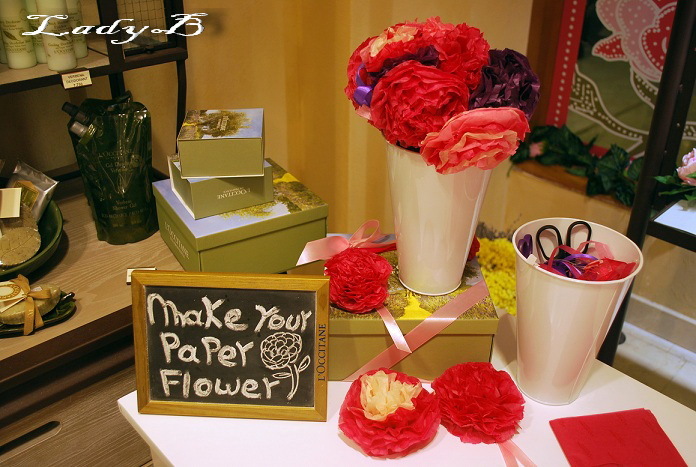 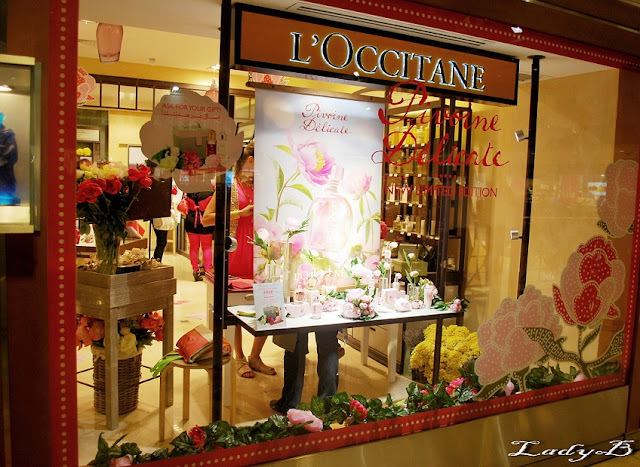 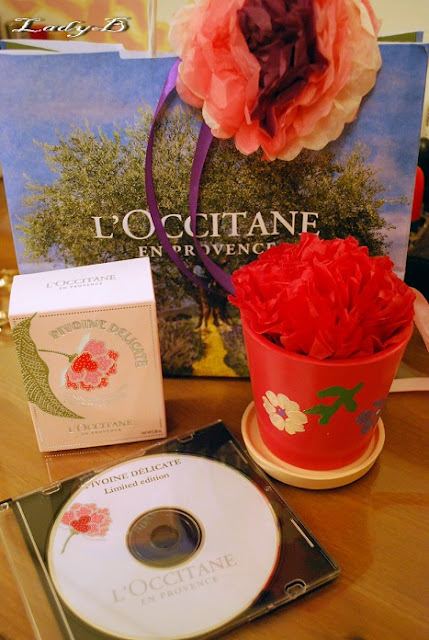 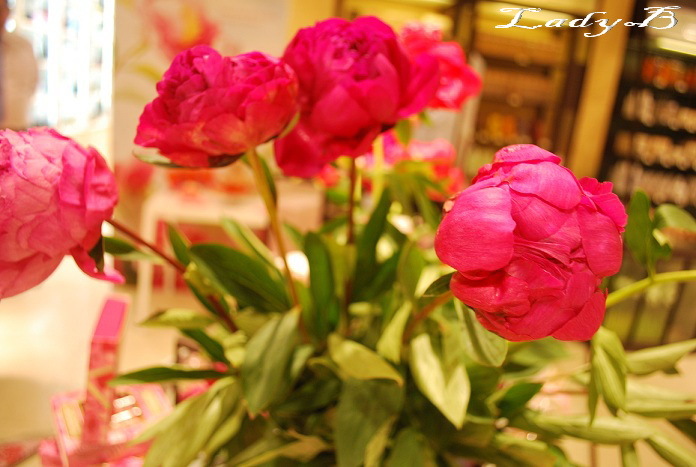 The Peony flower, as called the flower of a thousand petals, has once again inspired L’Occitane to launch the PIVOINE DELICATE Collection, to dress your skin for summer 2012. 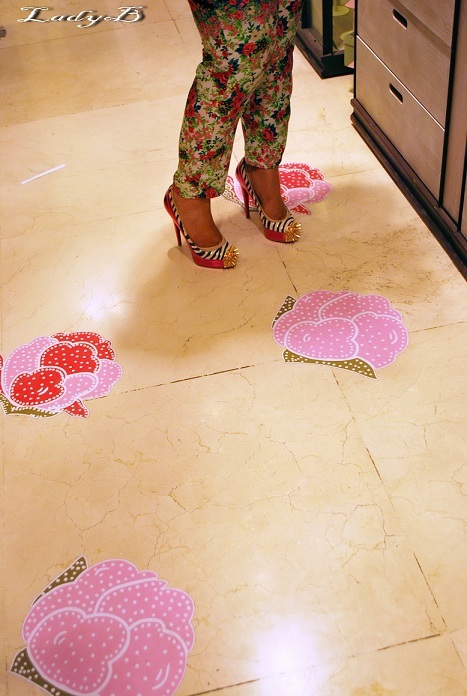 Even the floor had a trail of peony flowers stickers, and the coincidense was that my pants were a perfect match.. 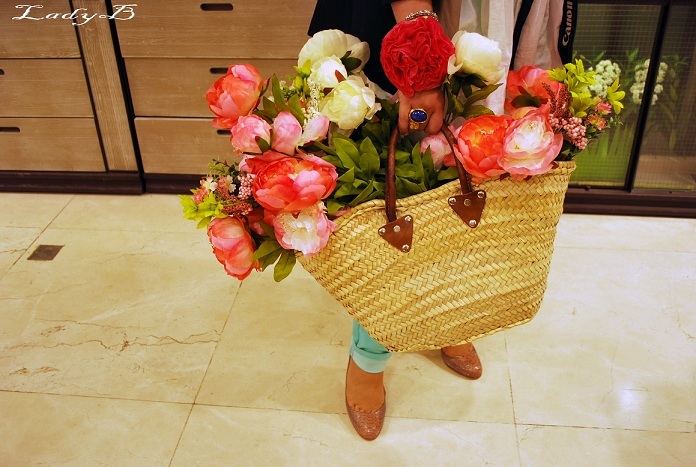 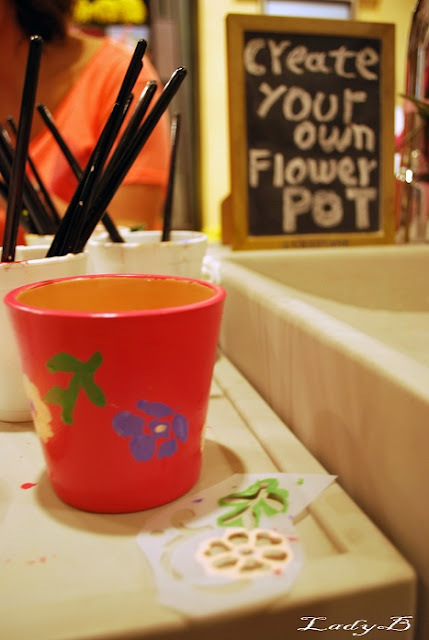 The event had a laid back and easy going nature, after we had a brief of the new products we delved into the acitivities on board..
April & I had a red riding hood situation going, we took endless pictures with this basket in particular and around the flower arrangement in the entrance.. 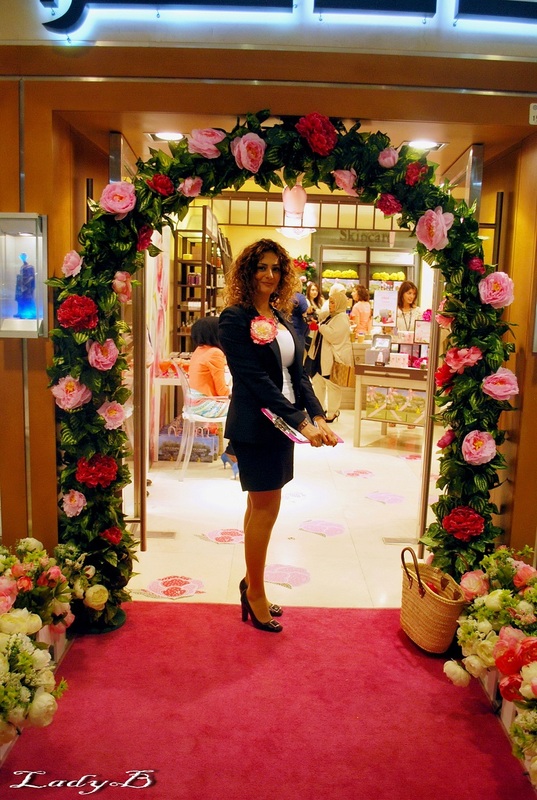 Thank Habchi & Shahloub group for your kind invitation and amazing event..